Hola MPG fans! I just wanna give an update on the status of my Perfume Contest this month. 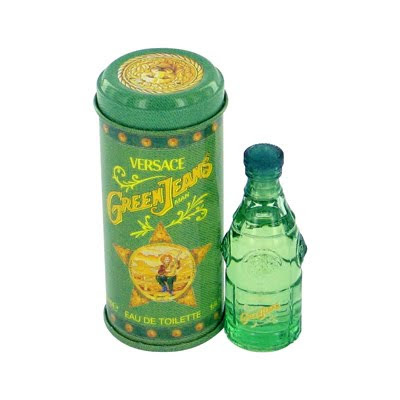 Currently I have received 6 entries from perfume lovers who would love to win this beautiful 7.5ml miniature bottle of Versace Green Jeans for men. It's not too late for you to join my contest as there are 10 days to closing. Thank you to my current participants and for those who have yet to take a shot at winning my contest, put on your thinking cap and have fun guessing the number of perfumes I have in my collection! Click here for the full rules of my contest and once again, good luck everybody! 10 days to closing! okok!!! ok ok later i post!!! :* :* :* :* :* Monica FC1! :* :* :* :* :* thanks Mariuca! wah then u wanna stay the whole nite and drop? What exactly are we supposed to do or guess? got black one meh? i ve the red one only.. Recent blog:=- To Be Rich like John Chow! Of coz got black one Mon, that’s the ultimate, so cool la the bottle!! Oh I love the red one too, it was on sale everywhere in tokyo! Hey Sandman, see here for the full details. Ur supposed to guess the number of perfumes I now have in my collection woo hoo! wah on sale everywhere some more did u buy the red one? I am guessing pink + lime green, correct or nooooooot Mon? He he he! Maybe la cause yest didn drop kan? I’m only at Yeehah now…. yeah i love sweet scented perfumes too!! Hahahahhahahah abaden!!!! Lime green + pink forever LOL! hahahhahaah forever!! u know when I was young, my fave color was purple! LOL purple it seems, but I like lavender, light purple like dat… he he! Done with WOAFS….slow la connection tonight! Heheheheh exactly Mon! Eh wait, I don have yellow jeans yet!!! LOL I tot ur done edi Mon, me dropping for meows now! aiyo kesian lah u slept 2 hrs only! That’s why now rushing to do my job then waaaaatch me sleep and wake up late afternoon he he! Ok sweetie! Have a good day! :) 8-) nice post friend,...........!!! will do again...oh boy Blogger really has fits with Echo!! 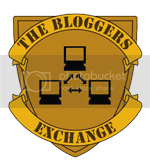 I hope Blogger gets this issue fixed!! Thanks and good luck to me and all the contestants. heheh.. so do you have a winner yet? lo! Cant wait to know what's the final count !! the contest is sooo exciting. congrats to all of us! Yeay.. and it's me.. lol! !